A North Korean missile test was conducted off the country’s east coast on April 15. However, the launch appears to have failed, the US and South Korean officials say. 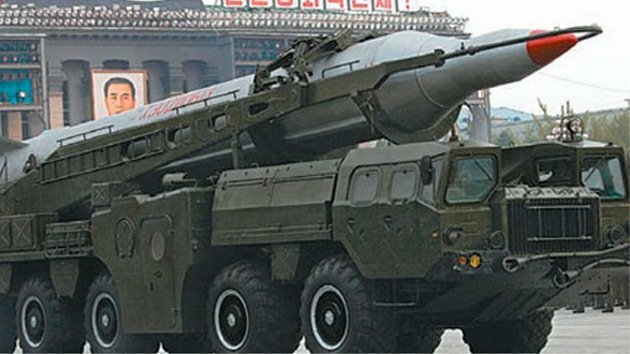 The rocket has not yet been identified but is suspected to have been a previously untested “Musudan” medium-range ballistic missile. The launch coincided with the birthday of North Korea’s founding leader, Kim Il-sung. It also comes amid particularly high tension on the Korean peninsula. South Korea’s Yonhap national news agency quoted government sources as saying that the missile was a type of intermediate-range ballistic missile known as a Musudan, also called the BM-25. North Korean forces were seen recently moving two such missiles. According to the Yonhap report , it would be North Korea’s first Musudan test, and that it may have at least 50 more. The Musudan is named after the village in North Korea’s northeast where a launch pad is sited. The rocket has a range of about 1,800 miles, which extends to the US Army base on the Pacific island of Guam, but not as far as the mainland US. The US said it had tracked the latest launch, but could also not confirm details. “We call again on North Korea to refrain from actions and rhetoric that further raise tensions in the region and focus instead on taking concrete steps toward fulfilling its international commitments and obligations,” a State Department official said. China also criticized what it called “the latest in a string of saber-rattling that, if unchecked, will lead the country to nowhere,” according to the official Xinhua news agency. North Korea has made a series of threats against the South and the US since the UN imposed some of its toughest ever sanctions on the country. The move was a response to North Korea’s fourth nuclear test in January and its launching of a satellite in February, both of which broke existing sanctions.